Great ideas, great fertilizer, great service. We supply the best fertilizers and teach you how to grow better food. We believe in working with nature to promote balance and synergy between plants and soil. Conventional farming has adopted an adversarial relationship with nature, fighting against her, rather than working with her. The natural system only works when everything is in balance. When out of balance, it falters. To regenerate agriculture is to re-establish balance between plant and soil; to regain harmony so that none has the unfair advantage over the other. Insects are kept in check and disease and other pathogens can be resisted by the natural strength of the plant which has been properly fertilized and has built natural immunity to the inevitable stresses of life. Click here to 'Read More' about disease resistance. He's no stranger to the Grain. That reminds me of that song by Keith Whitley – I'm No Stranger to the Rain. But Dave, he's no stranger to the grain. He's been around a while and he knows not only grain, but all the crops. And the crops love him. In fact, Dave is crops' best friend. Just like a dog with a full stomach loves its master, when properly nourished, your crops will love you, too. Working closely with you on cash crops, vegetables, and fruits, Dave will teach you how to feed your best friends, your crops. Your crops will have a better chance of reaching their potential when you feed them well. Dave brings the option for biologically-friendly farming to you through education on how this method can help you reach new heights through larger yields and better quality crops. Dave works actively with over 400 clients across North America to teach the principals and methods of growing better food through proper nutrition. Since 2004, Dave has enjoyed the challenges and rewards of his work, especially the harvest. Natural fertilizers give plants the ability to withstand adverse conditions and stresses. Insects and disease will not go away. Drought and floods will not go away. Extreme heat and cold will not go away. However, your plants are better equipped to withstand these adverse conditions and stresses if they have adequate, plant-available, and balanced nutrition and are functioning at their highest levels. The importance of microbes in your soil. Strong soil biology is the key to nutrient availability. Your soil is full of nutrients that need to be transformed into a plant available form to be usable by your crops. Microbes take in and digest nutrients from the soil and release them as plant available resources. 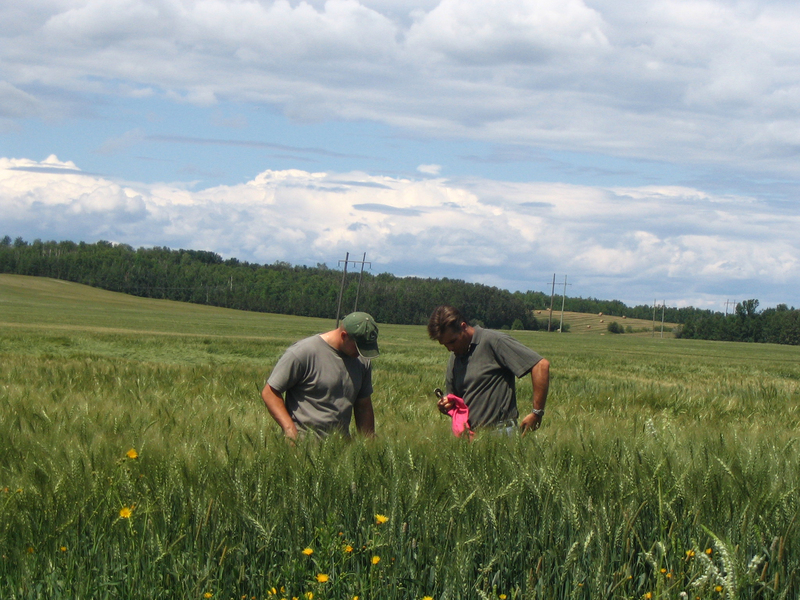 The solutions for your farm's land and crop improvement program. Keep up-to-date with upcoming workshops and events. Schedule an appointment for a consultation and soil analysis.